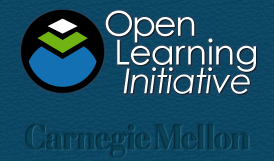 The Open Learning Initiative (OLI) is a carefully selected collection of free and publicly available online courses and course materials developed at Carnegie Mellon University. The courses, all at the introductory or intermediate undergraduate level, span a wide range of academic subjects: biology, chemistry, physics, engineering statics, computational discrete mathematics, causal and statistical reasoning, statistics, empirical research methods (e.g., multiple regression), logic and proofs (modern symbolic logic), economics, French (two course levels), and visual communication design. These courses are designed for the independent learner--none is instructor-led--and have been tested and revised multiple times by an open learning community. They feature high-quality graphics, videos, interactive animations, interactive games, exercises, test questions and problems, case studies, data sets, experiments, and even automatically graded workbooks. 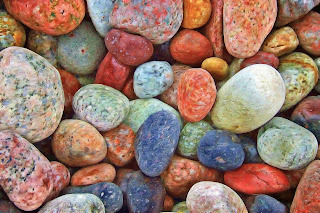 Most of these teaching tools qualify as learning objects, which students can play and replay until they understand the material.